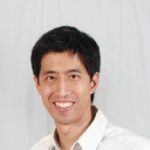 As online survey response rates have been in decline over the years, researchers have taken pains to understand and utilize techniques to drive survey participation. For example, we have long known that people are more likely to take a survey from someone they know or have an existing relationship with. 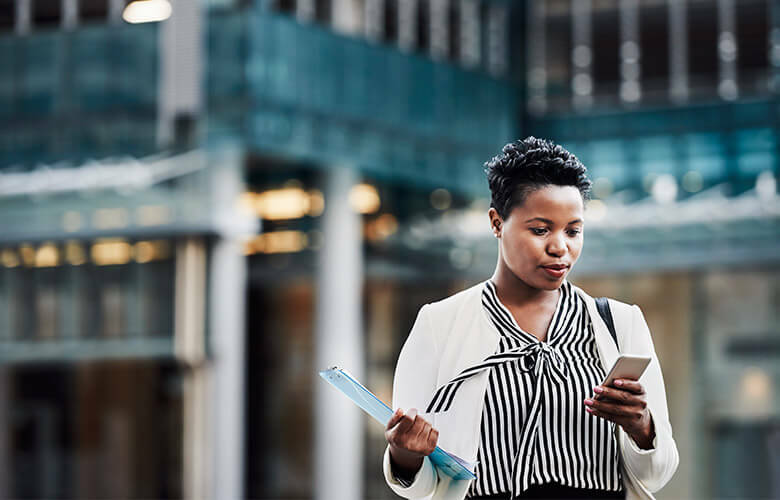 E-mail recipients will, for instance, pay close attention to items in their inbox that come from highly recognized brands—as these brand have a reputation of trust. Survey sponsors with ‘high authority’ (e.g government or academic institutions) also achieve relatively high online survey response rates for the same reason. Consumers know and trust these institutions are not serving up spam and likely have a valid reason for asking you to take their online survey. 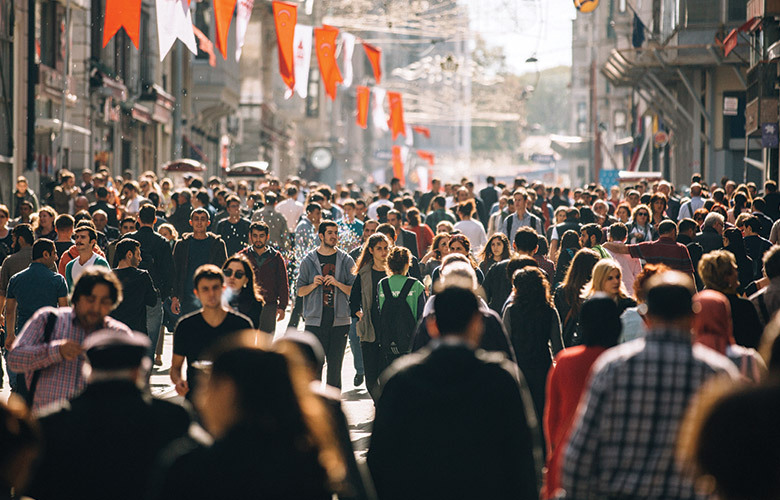 Although you cannot control who the online survey sponsor is, you can take care to draw attention to the survey sponsor and/or to your relationship with the respondent when it is advantageous to do so. One of the easiest ways to do this is through the survey invite. Online survey invites should be carefully constructed, personalized, and if possible, branded. 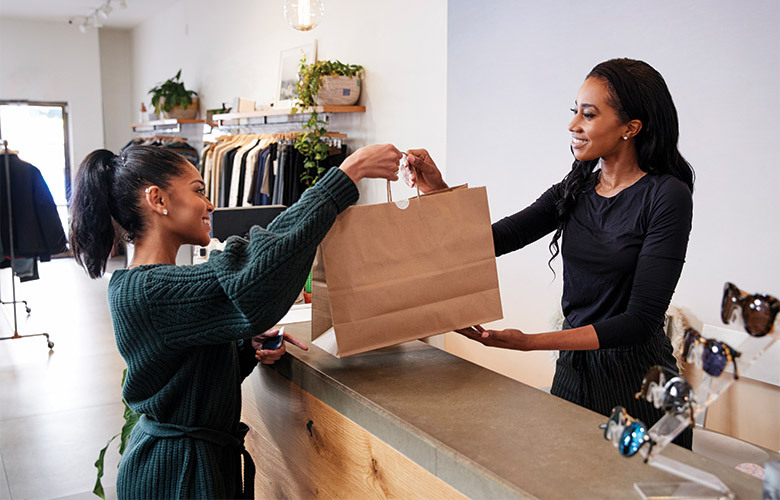 Corporate logos, professional stylings or even personable language can be used to establish a connection between the recipient and drive traffic to your survey. Since the invite is the first point of contact with your respondent, it is the gateway to your survey. Done well, it can show the recipient that you value their time. Whereas a sloppy invite conveys the message that you don’t care, so why should they? Below are three examples to illustrate the dos and don’ts of an invite. Figure 1 is a screenshot of an email invite from a survey that had poor response rates. Email open rates and click through rates were also poor, indicating a problem with the invite. 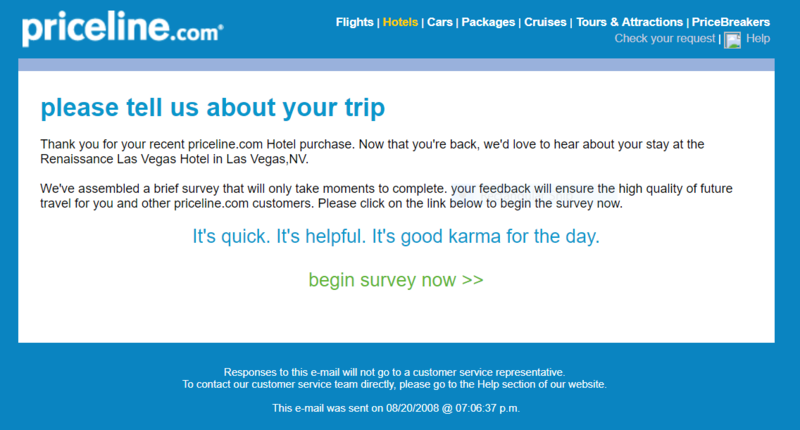 This is not a very ‘inviting’ invitation to a survey, being visually not engaging and the copy is generic and wordy. No attempt is made to establish a connection with the reader. 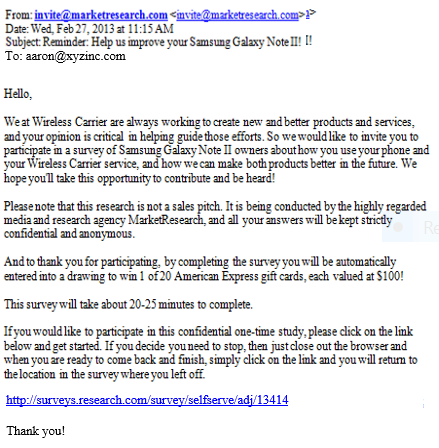 There are no personalized elements, and a generic name “Wireless Carrier” is used to introduce the sponsor of the survey. Furthermore, the survey URL does not show any indication of leading to a trustworthy website. One might reasonably be suspicious of it, leading to poor survey participation. 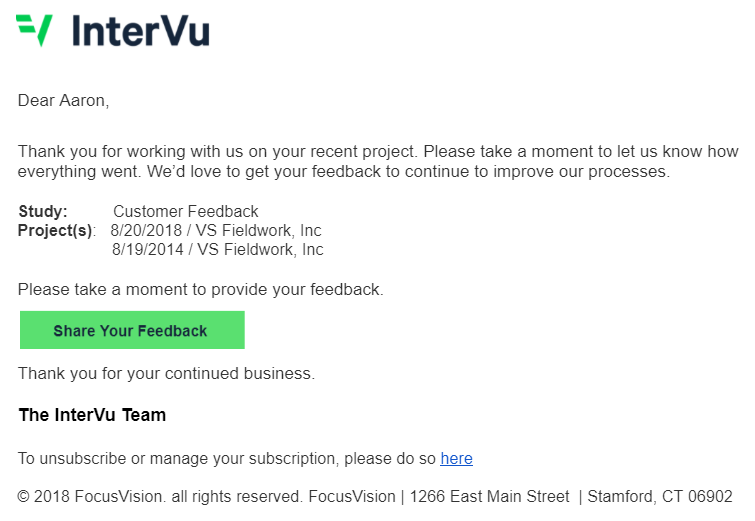 Here’s an example an email invite that FocusVision uses to survey customers for feedback (Figure 2). Figure 2: A well designed invite is concise and professional. This invite includes a number of elements that help encourage survey participation. In the email header, using names that the recipient recognizes works well. In our case, we use “InterVu,” which references a product they recently purchased. We also keep the subject line short and descriptive. As a general rule, the subject line just needs to convey what the email is about. No need to get fancy. The email invite is also branded and the copy is friendly and concise. It includes a personalized salutation and a call to action; We explain the purpose of the online survey, and most importantly, inform the participant why it is beneficial to them. We also list the projects we want them to evaluate us on. Taking together, the email invite is designed as an authentic and sincere request for the recipient’s time. Often overlooked, the survey invite is one of the most important components of a research study. It is the hook to your online survey. The best survey in the world will not matter at all without a properly constructed invite to get people there. But a well-crafted one can engage and drive traffic to your survey and convert a passive reader into an active consumer that wants to share their opinions and feedback with you.